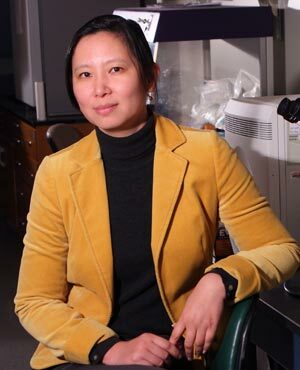 Northwestern University researcher Xunrong Luo has laid the groundwork for a permanent cure for type-1 diabetics by successfully inducing mice to accept transplants of rat islet cells without the need for immune-suppression drugs. The rat islet cells produced insulin in the mice for over 300 days after they were transplanted, allowing the mice to maintain normal glucose levels, according to Luo, who heads up Northwestern medical school’s human islet cell transplantation program. Luo’s team prepared the mice for the islet-cell transplant by taking white blood cells from a rat’s spleen and bathing them in chemicals that put the cells into a sleeping state known as programmed cell death. These cells were then injected into the mice. Because the spleen is part of a mammal’s immune system, once the modified rat spleen cells entered the mice’s spleen and liver, the macrophages broke them down as though they were waste cells from their own bodies. Once the fragments of the injected spleen cells wound up on the surface of the macrophages, the mice’s immune-system was trained to recognize rat tissue as their own. When rat islet cells were transplanted in the mice seven days later, they were not attacked by T-cells. The next step for her team will be to transplant pig islet cells into monkeys. If that proves successful, Luo would be close to realizing her goal of being able to transplant pig islet cells into humans without the need for immuno-suppressant drugs. If that proves successful, she would have succeeded in developing a cure for type 1 diabetes. The immune systems of type-1 diabetes patients attack and destroy the islet cells that produce insulin. That requires patients to inject themselves with insulin on a daily basis so glucose can be removed from the blood stream and absorbed by cells. Xunrong Luo is an associate professor of medicine, surgery, microbiology and immunology in the Department of Medicine at the Feinberg School of Medicine at Northwestern University in Chicago. She received her PhD and MD from Duke University, respectively, in 1995 and 1998. She completed her clinical medicine residency and transplant nephrology fellowship training at New York-Presbyterian Hospital Weill Medical College in New York in 2005. Luo’s research has focused on the tolerance strategies for allogeneic and xenogeneic islet cell transplantation. Current research focuses on developing strategies for donor-specific tolerance induction and elucidating mechanisms of tolerance in murine models of allogeneic and xenogeneic islet cell transplantation. Assistant Professor Xunrong Luo is the medical director of the Human Islet Transplantation Programs of Northwestern Memorial Hospital.